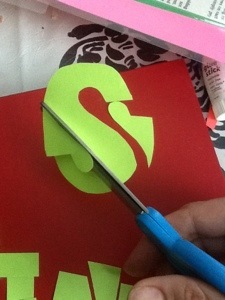 How to cut out letters | ARTZCOOL'S BLOG! 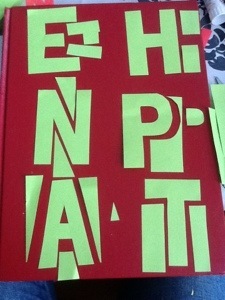 The first and most important trick is to start by cutting a bunch of rectangles all the size as letters you want. This will ensure all of your letters are a uniform width and height. For rounded letters like O’s or G’s, you round the corners of the rectangle, like in the following picture. 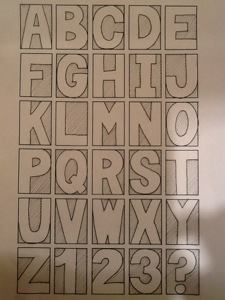 Here is a sketch I did showing the positive and negative space of the capital letters of the alphabet. 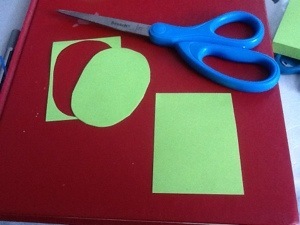 When cutting, you are basically trying to cut out the shaded areas, or negative space. This part isn’t the most difficult, but the trick is to make all letters even and make each line of the letter the same width. For basic letters like, E, N, or P, here are a few examples to look at…they are the easier ones, because you just have to cut out chunks from the edges. 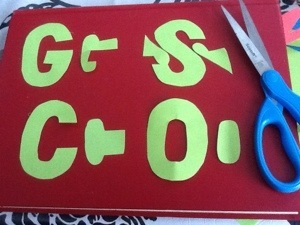 The most challenging part to cutting letters is the holes in the center you have to cut out, like O, P, or A. Depending on the finished product, you can cut out the holes in three ways. You could poke your scissors through to make a hole, then cut around. 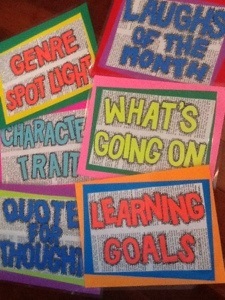 Here are my finished signs, laminated, and ready to go! I am totally enchanted with your blog! 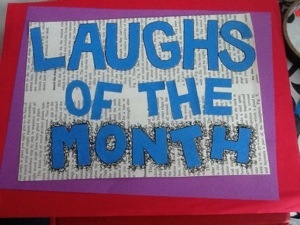 You are so creative and that is such a great idea for the letters. 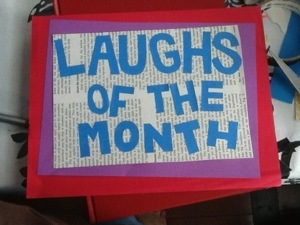 I usually resort to printing them and cutting them out, or writing them out before cutting. I think this will take me some time to master but I will definitely work on it! Sweet! I’ve got a science fair trifold to do and this will totally help me not screw it up haha. Thanks! Great! Glad I could help! Good luck! 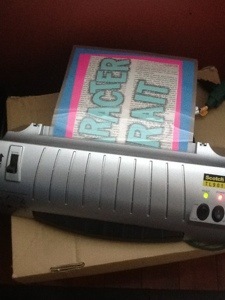 How would I go about laminating individual letters without the laminate peeling off. Ideally I would like to completely seal a cut out letter so it can be used for tracing around. Oh my goodness, how rude am I ? I haven’t even thanked you for all this wonderful information! !